Capturing the enchanting beauty of a robust garden in bloom, this luxurious collection encapsulates free-spirited bohemian glamour with a soft spell of romance. 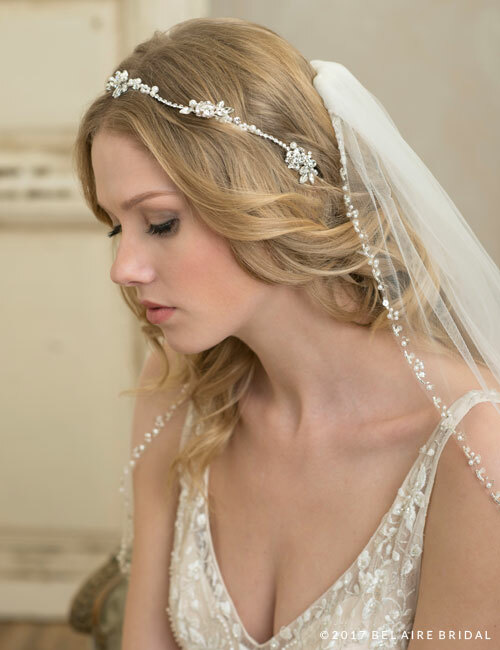 Woven hair vines and freshwater pearl garlands mingle with rhinestone halos. Metallic roses bloom amongst gilded leaves, while evergreen headbands and glittering combs whisper a song of nature-inspired refinement. 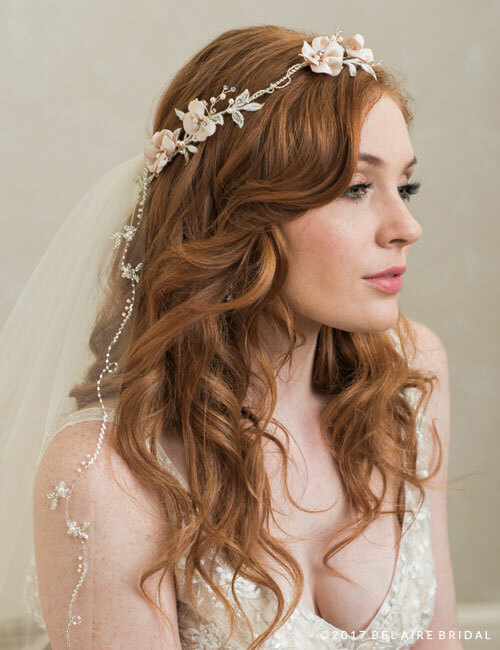 Veils strewn with dimensional petals and lined with romantic lace create an air of Old World romance; glittering champagne embroidery and gleaming beadwork enhance an aesthetic of gracious elegance. Metallic leaf clip with rhinestones and pearls.